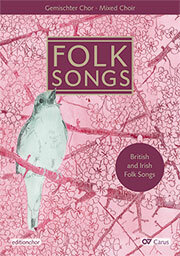 The Folk Songs choral collection explores the musical world of Great Britain and Ireland. 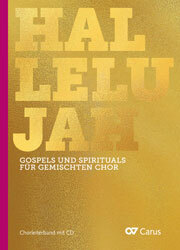 It contains 21 arrangements of English-language verse songs, canons, and ballads for mixed unaccompanied chorus. 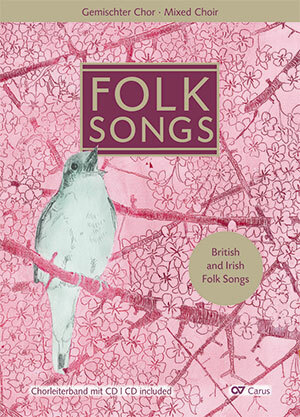 The folk songs are as diverse as the stories they tell: from the moving Greensleeves and Two hearts beat as one, through charming settings such as A rosebud by my early walk and There were three ravens, to saucy and tongue-in-cheek songs such as Dashing away with the smoothing iron and The mother-in-law. 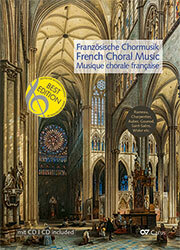 The stylistic treatment is very varied: the collection contains both original settings from the 13th century as well as arrangements specially commissioned from contemporary composers for the collection. 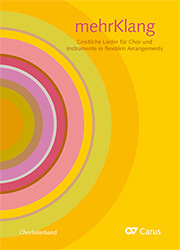 The settings are in three to five parts, and the vocal parts sometimes divide. They are by well-known British and Irish composers such as Benjamin Britten, Gustav Holst, Ralph Vaughan Williams, and Charles Villiers Stanford, as well as contemporary composers such as John Rutter and Carsten Gerlitz – who give a new twist to these traditional songs. 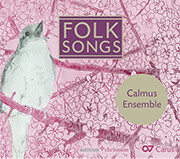 Calmus Ensemble has recorded six arrangements from this collection for their CD Folk Songs (Carus 83.034).